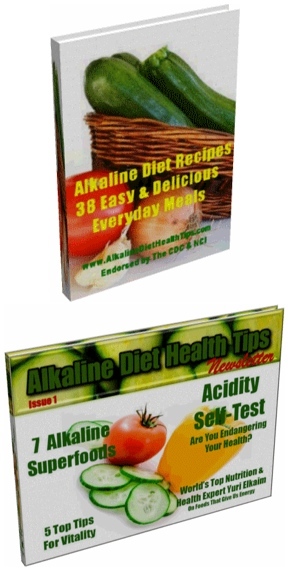 Register Your FREE Alkaline Diet Recipes eBook & Video Training Series! My Alkaline Diet Recipes eBook is 38 pages of delicious, innovative and easy fruit and vegetables-based recipes that are easy and quick to prepare. It will help you transition from acidic to alkaline. Full nutritional information and diabetic exchange values have been calculated for all of the recipes. I'll send the recipe book straight to your inbox and you'll be added to my monthly Alkaline Diet Health Newsletter, which is packed with great information, tips and articles on how to succeed with an alkaline lifestyle. We all need some extra motivation along the way, especially when we're starting something new and challenging, like a new health regime. But don't worry, once you get into it and you love the amazing results you'll experience from alkalizing, then there'll be no stopping you!